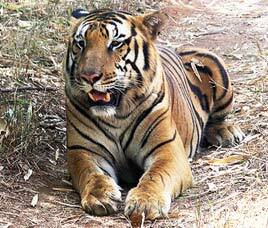 Located 10 km from Manthani, 80 km from Karimnagar & 50 km from Mancherial is the Shivaram wildlife sanctuary. This 37 sq. km riverine forest mixed with teak & terminalia is home to Marsh Crocodiles of river Godavari. It also harbors Panthers, Sloth Bears, Nilgai, Black Buck, Cheetal, and Python & Languor. The undulating natural terrain adds to the beauty of the sanctuary. The best season to visit is December to April. Accommodation is available at Forest Rest Houses at Mancheraal and Eklasaputr. Road: 10 km from Manthani in Karimnagar district by road. This entry was posted in Andhra Pradesh, Shivaram Wildlife Sanctuary. Bookmark the permalink.